Thank you to our Walmart and Sam’s Club associates, customers and members for supporting Children’s Miracle Network Hospitals and Johns Hopkins All Children’s Hospital in their mission to #HelpKidsLiveBetter this fall. 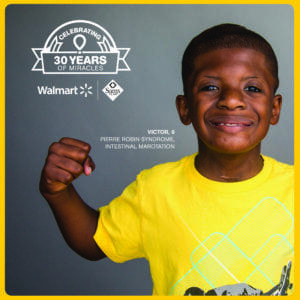 2017 marks the 30th anniversary of Walmart and Sam’s Club working with Children’s Miracle Network Hospitals to raise money for sick and injured kids in communities throughout the U.S. and Canada. Thank you Walmart and Sam’s Club for your continued support! Next post: Thank you Marriott!